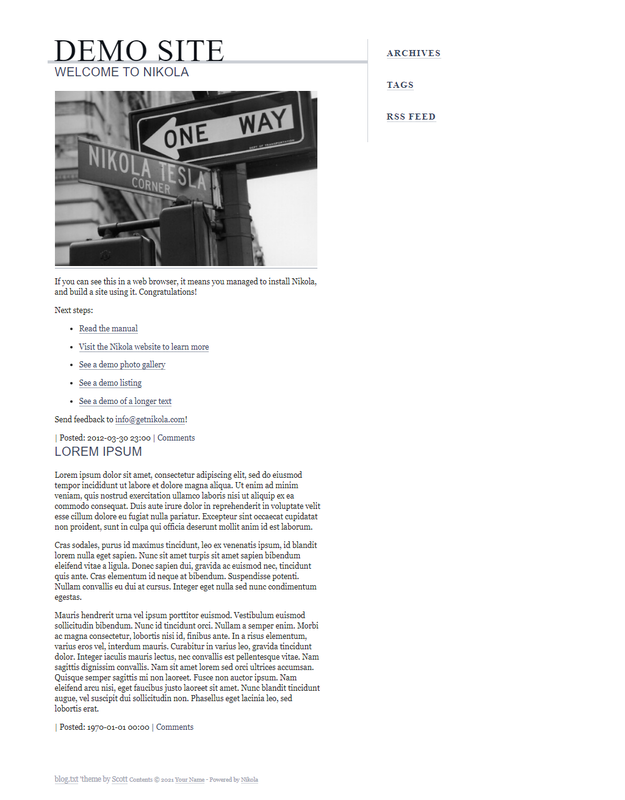 This theme is loosely based on Scott Wallick's nice "blog.txt" theme. If there is anything nice here, he did it. If there is something wrong or broken, I (Roberto Alsina [email protected]) did it instead. I did it basically to see if it was possible to port wordpress themes to Nikola. And it is, but it involves reading php files and loosely reinterpreting them into Mako templates. At least the CSS files are easily adapted. This theme is under a LGPL license just like the original (see license.txt), enjoy! This theme doesn't support slides (but that's a hack anyway).